the RESET 5-Day High Fiber Cleanse Challenge is ON! CLICK HERE TO SEE EXACTLY HOW YOU DO THE 5-DAY CLEANSE CHALLENGE! And finally …… LOSE THE FAT!! I call you to action to take the USANA “RESET” 5-Day High Fiber Cleanse CHALLENGE where the permanent side effect is FAT LOSS!! I MEAN REALLY–AREN’T YOU SICK AND TIRED OF GAINING THE WEIGHT BACK AFTER YOU DO A CLEANSE?? My response: NO PROBLEM–Click here! RESET™ is a jump-start program to help you take positive steps toward reaching your health and weight-loss goals. Simply replace your meals and snacks for five days with these conveniently packaged USANA Macro-Optimizers and begin a new, healthier lifestyle. In five days, you can: Lose the Cravings—Help reduce carbohydrate cravings with delicious low-glycemic foods Lose the Pounds—Jump-start your new lifestyle by losing those first five pounds. Find the New You—Discover the lean, healthy, and energetic person inside you. 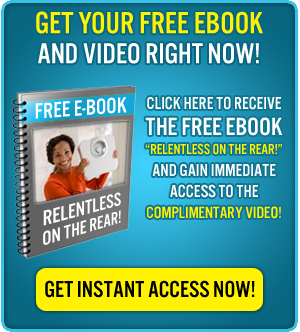 Get your FREE RESET Challenge Coaching Packet NOW! Watch this mini clip and find out how to RESET your metabolism and burn the fat- – FOREVER– in as little as 5 days! Click Here! THE TIME IS NOW- -READ THE TESTIMONIES!! “The reason I chose to do the 5 day cleanse was because I have heard so much about it and was curious if it really worked. The reason I chose it now was that it was good timing for me. I finally had the time and money to put the effort into it. My fears were “what if it doesn’t work”. “What if I don’t lose any weight. Is this just another scam or fad diet”? I think what made this diisapear was that there was coaching and encouragement involved and also my determination to make it work. The results for the week were that I lost a total of 4.5 pounds, not as much as I wanted but pretty good for 5 days. that is just about a pound a day. “My name is Regina Reetz (Denver, CO) and I had been struggling with my weight since the birth of my son 6 years ago. And then I was even more in trouble after the birth of my daughter last May. My midwife invited me to a Health & Wellness Spa at my 6 week post delivery checkup, which is when I discovered that my Cholesterol, LDL and Triglycerides were all high for the first time ever. I was desperate to lose weight, get healthy and have my life back. Before my children were born, I was an active outdoors person and I really missed being able to do the things I had always loved. The more weight I gained, the less activities I wanted to do or could do. I even struggled climbing stairs and doing basic routines. And forget going to the pool with my kids! My son said to me once- “Mommy you have big legs”. This made me feel more desperate than ever to find out what was wrong with me. I didn’t eat a lot of food and certainly didn’t sit around eating bon-bon’s all day long. It didn’t matter how little I ate, I just couldn’t lose it. My self-esteem was in the garbage and I didn’t even want to go out in public. Only now do I realize that I was eating high-glycemic meals and my body became insulin resistant. Kimberly Hall (started RESET Oct 30) is now down 37lbs and changed from size 14 to 6. Click here: Carbs, Sugars–What’s the Deal Anyway? Numbers don’t lie, and the facts have been stated. I’m also going to throw in some fabulous BONUSES!! YES, I DID SAY I WILL GUARANTEE IT!!! What do you have to lose? I’ll tell you… FAT! It can last forever, and my FREE coaching will help ensure this. You have decided to join us for the next Challenge. We have our 30-minute coaching session and together we create a plan for you. Today is Friday (deadline day), I order your RESET kit for you. 28 days from Friday (the Friday I placed your order for you), you will be automatically billed and automatically receive your next 30-day supply. This will continue the success you will experience during the Challenge week. Autoship each 28 days to keep you experiencing the best possible health: $2.80 per serving! IF YOU DECIDE THAT AUTOSHIP IS NOT FOR YOU, NO WORRIES….YOU CAN CHANGE THAT STATUS ANYTIME AFTER YOUR ORDER IS PLACED. Now, why is that the only way to get 20% off? The USANA RESET 5-Day High Fiber Cleanse Challenge creates an easy way to keep you on a good track after the 5 days. 99% of the cleanses out there only take you so far and then when it’s done, what do you do then?? There are always questions and unanswered wonderings, then you gain the weight back- -right? Not this one. I WANT TO MAKE SURE YOU ARE PREPARED BEFORE YOU EVEN BEGIN. And getting on Autoship prepares you for the after the Challenge, and for 30 days after that! Guaranteed Belly Fat Loss in 2 Easy Options! I’M MAKING THIS OPTION AVAILABLE TO YOU FOR $120.00! I’M MAKING THIS OPTION AVAILABLE TO YOU FOR $465.00 + 37.33 each month (autoship), to continue & support your progress.